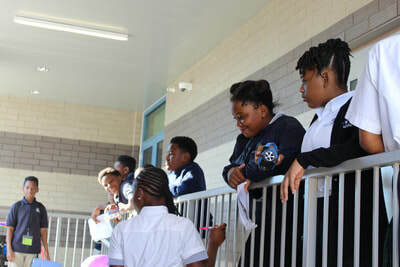 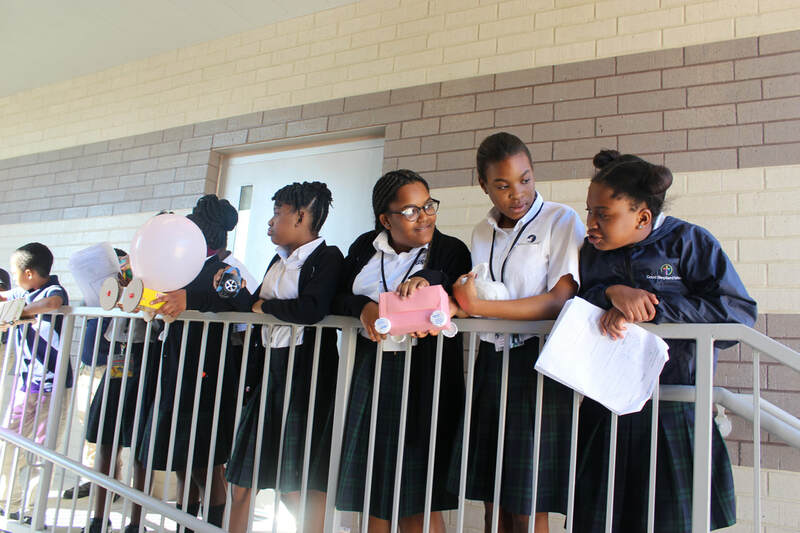 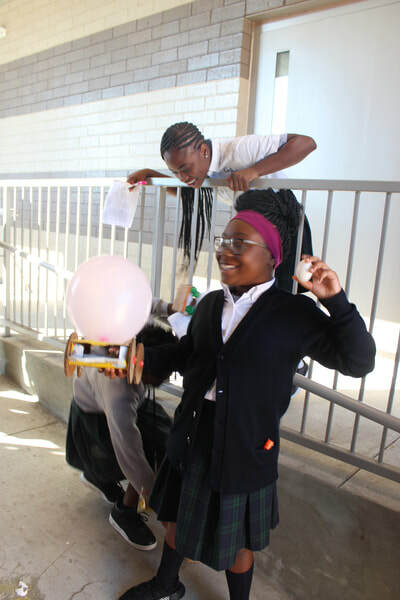 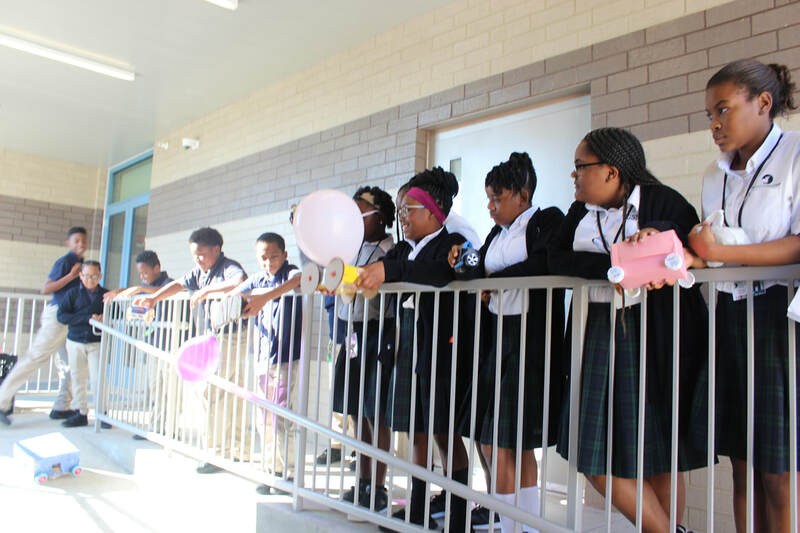 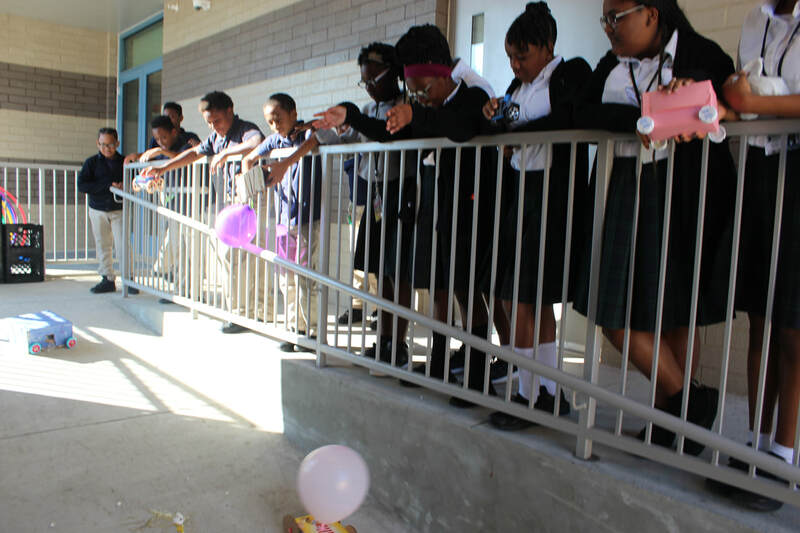 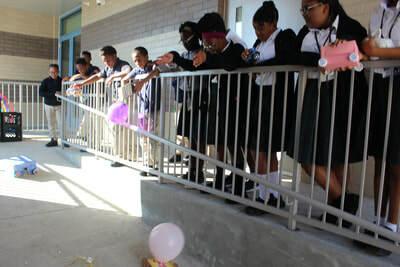 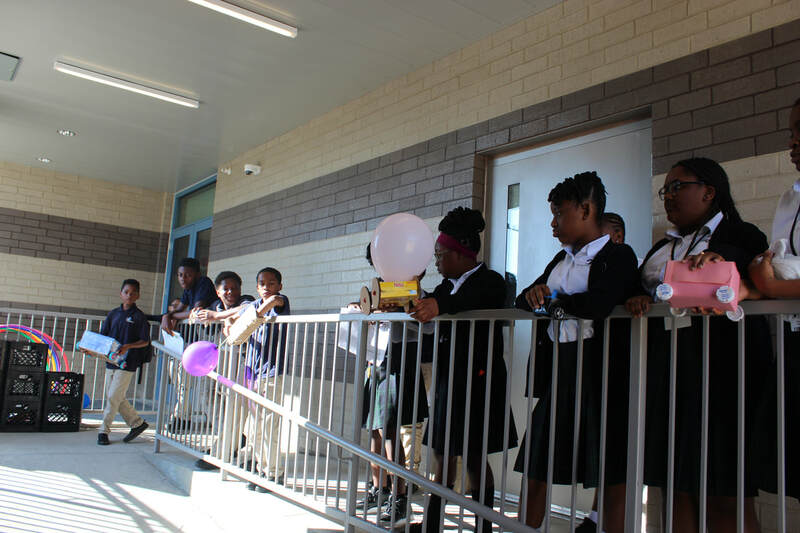 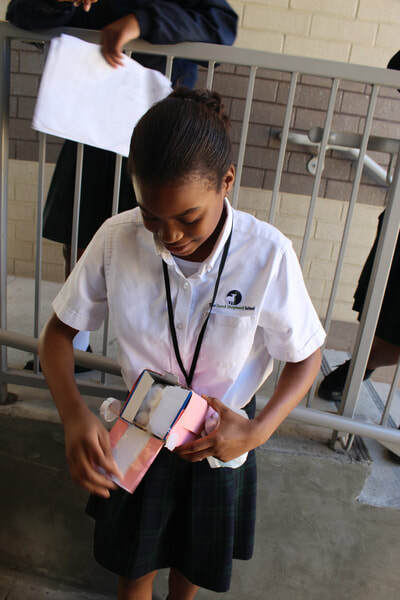 Ms. Myan Sandifer's middle school science class examined Newton's Law with a car crash course. 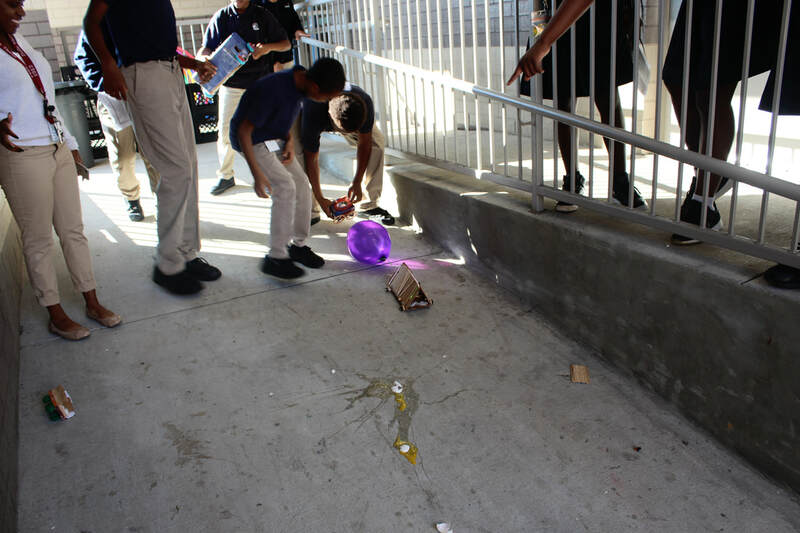 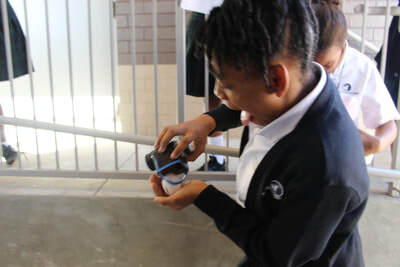 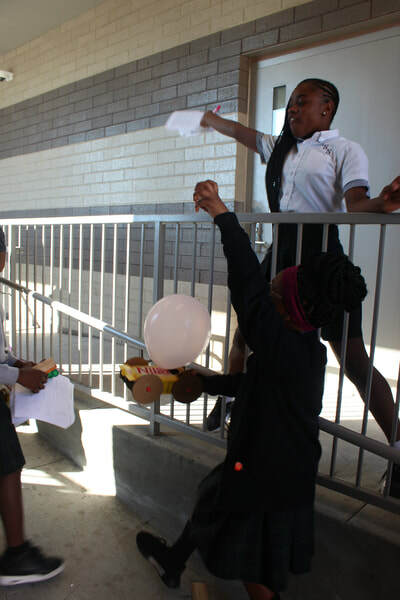 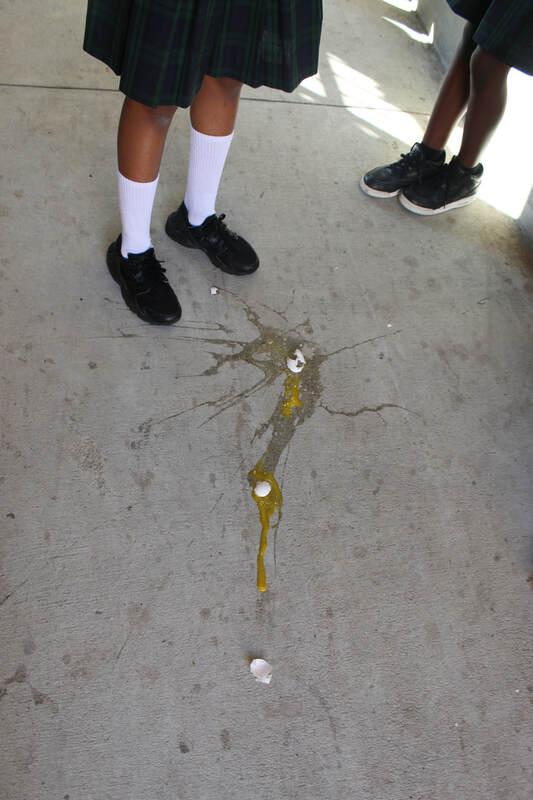 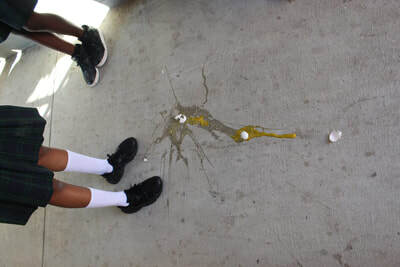 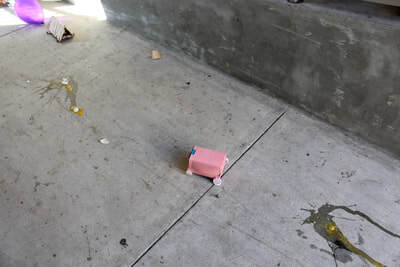 The goal of the assignment was for the students to take what they have learned about Newton's Law to build a car that protects a person, or in this case an egg, during impact. 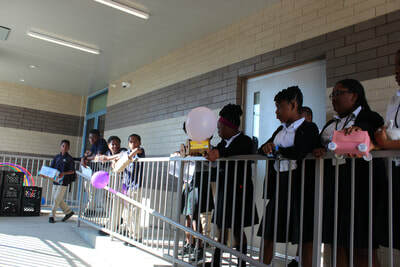 The students then took to the pavement to test their cars and how their creation protected the "person" inside.